All knife blades become dull with time, even if the better steel blade stays sharp for longer time than expected. In reality, the factory sharpness goes away in just a few days or weeks of normal usage. This is why a knife owner, whether professional or not, always prefers to have the best electric knife sharpener. The very first thought to strike one’s mind is a sharpening stone, especially if the mastery has been achieved in using it. With sharpened skill to use such a stone, you are likely to remove very little metal for sharpening, which extends the blade’s lifespan. However, using a stone needs a significant effort of practice for using it efficiently. In many situations, it calls for a professional help, which might end up being expensive. Keeping these cons in mind, an electric knife sharpener proves to be the best solution for maximum cooks, which also gives efficient results even for gourmet knives featuring metal of very high quality. Should I Still Buy an Electric Sharpener? The electric models not only sharpen more swiftly than sharpening stones, but are also easier and quicker to use. They feature embedded guides that remove any kind of estimation for sharpening at the proper angle. Due to automated grinding, these sharpeners are speedier, typically the workout time being not more than two minutes. In case of only a touch up, the time is not more than 30 seconds. The bottom line is that electric sharpeners are fast! Sharpening with an electric sharpener is somewhat different from sharpening with a stone or a manual system. These models usually sharpen in three stages and with a diamond sharpening material (abrasive), unlike whetstones. Besides from having guides for evenly sharpening, the electric knife sharpeners feature a versatile makeup to handle different types of knives, including ones with a serrated edge. There is no need for you to press the knife hard while sharpening it on an electric sharpener. The only effort electric sharpeners need from your side is timely cleaning for discarding all left behind metal shavings. Other than this, the maintenance is really low. Fine for Naives or Starters: Well, this is the most appealing point if you are one of them. It is even more appealing if you have ever spent time learning a manual sharpening method. It is a fact that manual sharpening of a knife requires practice and time, as it is a skill. So, you just cannot start with an expectation of a flawless experience if you have never used any such methods. Moreover, unfamiliarity or inexperience might invite injuries or blade damages. All these risks do not exist with an electric knife sharpener that has fixed angles as well as blade guides. Further, there is no time or skill required in learning such a model. Suitable for Experienced: Well, the electric sharpeners for knives are not just for the beginners. With experienced palms, it becomes easier as well as quicker to sharpen a set of knives. No Speculation or Estimation: The challenge involved in sharpening any kind of blade is to do so at the right angle. In sharpeners that do not have guides or adjustable angles, this challenge requires some estimation or guesswork. This is prone to errors and risks. However, this is no longer required in case of an electric sharpener. In case of most electric models, all you need to do is put the edge in and sharpening starts on its own at the right angle. However, the problem might come if you have different knives sharpening at different angles. Still, this is not an issue for all those using kitchen knives. What types of knives you will be using: Pocket, Eastern, Western, or Asian? How much patience you have in terms of time and efforts to learn a new sharpener and sharpening each knife? At which place will you sharpen? On a countertop, table, or in a field? In most cases, customers sharpen kitchen knives in their kitchens. This indicates the need of a sharpener that can fit inside a cabinet or a drawer. Moreover, nobody prefers spending hours on learning how to use the sharpener properly. Consumers prefer something that is easy, fast, and yet effectual in performance. It is understood that they wish to spend time in cooking, not sharpening. For these customers, an electric model is a more sensible option, although at the cost of some more money. It is obvious that a kitchen sharpener is chosen as per the type of knives you will be using. In kitchens, usually, two major types of knives are used, namely Western and Japanese. The Western ones are sharpened on both the sides, while the Japanese ones are sharpened only on a side. It is essential to know both the knives with distinguishing points between them or else you will end up causing damage to the blades while sharpening. These types of knives are available in two formats namely, single-bevel and double-level. Single-bevel ones are sharpened on just a single side due to which the bevel angle is smaller, which makes the knives sharper. Few Japanese knives are sharpened to five or six degrees while most Western-style ones have angles of 15 degrees and above. On the other hand, double-bevel blades are having both the sides sharp and are much analogous to Western style ones. However, they are usually sharpened to 16 degrees. If you need Japanese knives, the format is perhaps the most critical factor in selecting the most suitable electric knife sharpener. You may need a sharpening unit that can sharpen only a single side at a time. The Japanese knives have harder steel than Western knives because the bevel angle is lesser. The harder steel is essential for the blade to keep up to use. However, at the same time, harder steel is more fragile. Thus, Eastern-style ones are handled more carefully. Another point of distinction between a Japanese and Western style is the blade’s shape. A Japanese knife is usually flat by the side of blade’s length, which pushes more blade area to come in contact with the food. This changes the manner in which the blade is sharpened, wherein pulling straight via the sharpener is required. While you will find some sharpeners capable of sharpening both Eastern and Western style knives, there are sharpeners designed only for Western-style knives. 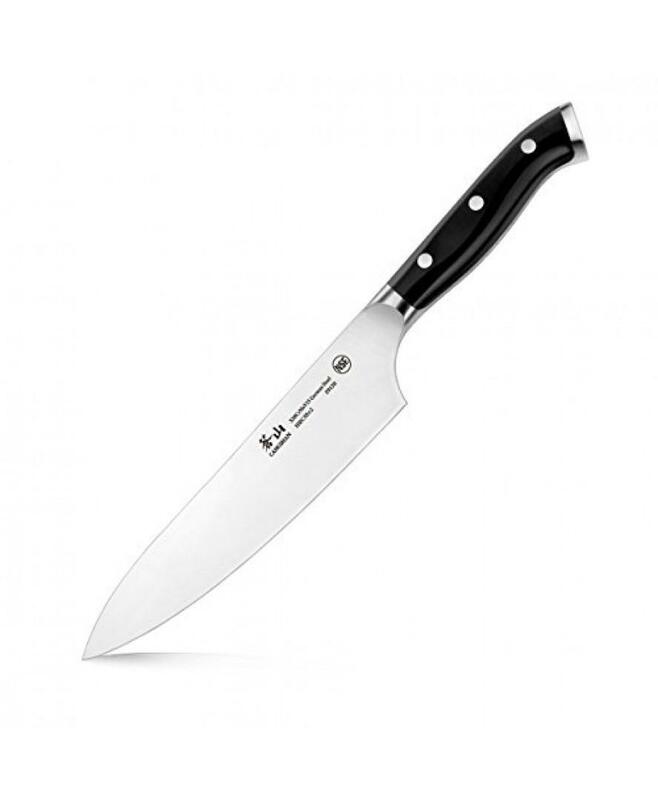 Specifically, the knives from Germany are popular for their durability and efficiency. Unlike an Eastern style knife, a European style one has a symmetrical bevel, which means it is sharpened on both sides. Combining angle from both sides gives the total angle. Usually, they range from 18 on lower end to 28 on the high end. The total thickness of the blade also differs from the Eastern style one. Western knives are constructed using softer steel due to which the blade’s strength comes from additional metal. As a result, these blades are quite strong. A quality Western knife can easily slice a tomato. However, a Western knife is not resistant to damage. Despite this, a well maintained blade is able to resist to considerable amount of penalty. Such knives need regular honing. These knives have curved blades, which means you need to pull the blade along the same angle. Doing so ensures that sharpening occurs along the entire length. In case of a serrated knife, you will need an electric sharpener specifically designed for it. However, you will find some versatile or all-in-one models that can deal with all types of knives and even scissors. In short, a good understanding of different types of knives is essential prior to buying a sharpener. An extremely sharp dagger with a lower angle is not going to be as durable as the one that is made using softer steel and is a bit less sharp. But harder steel is prone to chipping due to more brittleness. Dropping or tossing it can make it break. A knife made with softer steel and a higher bevel angle won’t be as sharp, but can actually be more durable because it is able to take abuse without cracking or chipping. This factor is important to consider, especially if the place where you will sharpen in your kitchen is not that big. It is also dependent on your specific sharpening requirements. A larger unit might come with more features, while a compact one saves usage and storage space while offering less features. However, the fact is that majority of electric sharpeners consume space that a toaster takes. While the electric sharpeners are available in different sizes and shapes, the structure or shape is more important, at times. For example, a non-slip base ensuring more security is sometimes essential to have. Similarly, a handle on a side is preferable for ergonomic ease at the time of sharpening. Well, this can be commercial or home. Remember, not all sharpeners are designed for all types of knives. For knives to be used in a home kitchen or in a restaurant kitchen, you will find specific sharpeners. So, the kind of electric sharpener to be chosen considerably depends on how you wish to use it. A commercial model might offer more features as well as might be of higher quality. However, at the same time, it can be costlier. On the other hand, a model for household use is usually more economical and has fewer features, comparatively. While all knives differ uniquely in terms of a myriad of variables, angle and steel strength are two most important ones. The bevel angle determines the sharpness of a knife and is gauged in degrees. The knife is sharper if the angle is lower. However, some more factors also contribute to sharpness. The ability to set the angle for sharpening to specially match the knife’s angles contributes to extension as well as preservation of blade’s life. Because the maker designed the knife to perform at its factory bevel angle, it is wise to retain the knife at angle. Because you will have different types of kitchen knives, it is best to have a sharpener that allows setting the sharpening angle as per the knife’s angle. In short, you need a versatile electric knife sharpener that allows setting different angles. While it is not as vital as abrasive material or number of stages, an adjustable angle enables setting the sharpener to a particular angle of your tool in operation. As a result, you can accomplish varying levels of sharpness as per the type of knife under the target. For example, you can reliably sharpen a chef’s knife to a higher angle than that of a paring knife. For a majority of kitchen knives, 18 to 25 degrees angle is recommended. This is because it contributes to maximum sharpness without affecting the edge’s durability. Between the mentioned bevel angles, kitchen knives including chef’s ones are bound to operate quite well. A few other knives such as the paring knives may possess a bit lower angle. It is worth noticing some of the famous and reliable knife sharpeners do not have this adjustment feature. So, if such flexibility is of top priority for you, do ensure that a bevel angle selector exists on your chosen electric sharpener. The right angle for a knife under target is completely dependent on the application as well as the type of sharpener. A few of the high end or upscale electric sharpeners for knives come with one or more angles to sharpen the edge to usually 15 and 20 degrees, with fixed models sharpening to a single angle of 20. While a bench stone is what is required to sharpen to any intended angle with full flexibility, a good bargain is an electric knife sharpener having an angle guide. Such a system usually can adjust its angle for all normal typical sharpening needs. As a user, you might be of the opinion that the sharpest possible angle is ideal. Well, the fact is that there is a trade off. The sharper the blade, the flimsier it is in terms of sharpening and maintenance. This means that such blades would need more frequent sharpening as well as maintenance. If this was not true, all blades, ranging right from an axe to a straight razor would demand sharpening to 12 degrees. Usually, the blades of razors and paring knives need to be the sharpest at an angle of 12 to 18 degrees. Majority of kitchen blades such as slicers, Chef’s, and utility knives need to be sharpened to 15 to 25 degrees. However, there are exceptions, which are Japanese models, which typically need to be sharpened to 14 to 16 degrees angle. The exact angle would depend on the manufacturer’s instructions. Talking about the knives in the tactical and sporting category such as the survival and pocket ones undergoing more forceful action, the sharpening angle is even more. Usually, they need to be sharpened to 25 to 30 degrees angle. A less sharp angle indicates that more material of the blade is to be cut, which eventually offers more durability while in use in the field. If you have a machete or an axe, the sharpening angle is even greater. These tools are sharpened to 30 to 40 degrees, which adds to more lasting sharpness as well as ruggedness. Even the blade’s material has a role to play. The harder the steel, the sharper is the edge. However, this does not compromise with durability. 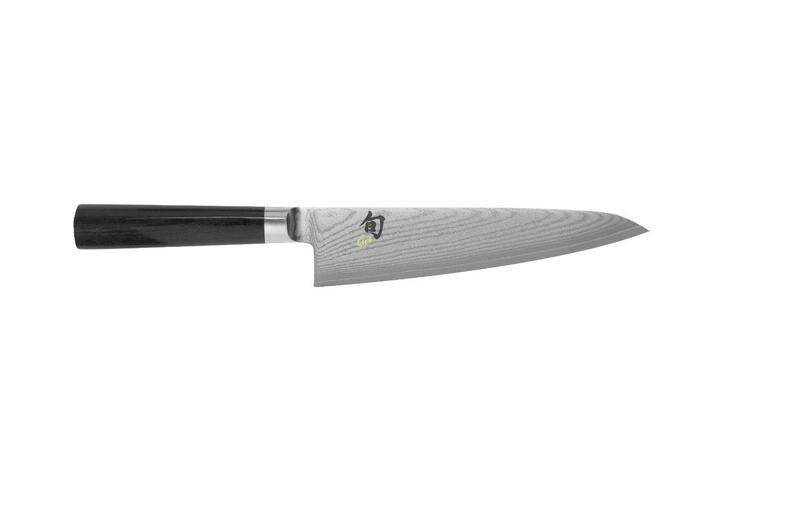 While the aforementioned angles are relevant and practically applicable, an extremely high quality Chef’s model can persuade you to push the sharpening angle to 12 degrees. However, this would be with the awareness that you will be sharpening it more frequently. Most makers such as Global, Henckel, and Shun, are known for their fine kitchen knives that are made up of a proprietary steel mix. You will find this blend printed on blade such as X50CrMoV15. So, what does this mean? Well, X stands for stainless steel, 50 for 0.5% carbon noticeable for sharpness, Cr for chromium and Mo for molybdenum both responsible for resistance to stain, V for Vanadium for edge retention and hardness, and 15 for 15% chromiumin. Fundamentally, other metals are combined with steel to give you some more functional properties but do come with tradeoffs. However, in the favor of steel, it is worth knowing that the metal is optimized for generic durability as well as kitchen usage. On the flip side, such steel if softer is unable to hold the edge as sharp as hard steel. But this is why it is easier to sharper a kitchen knife although it is likely to get dull faster. 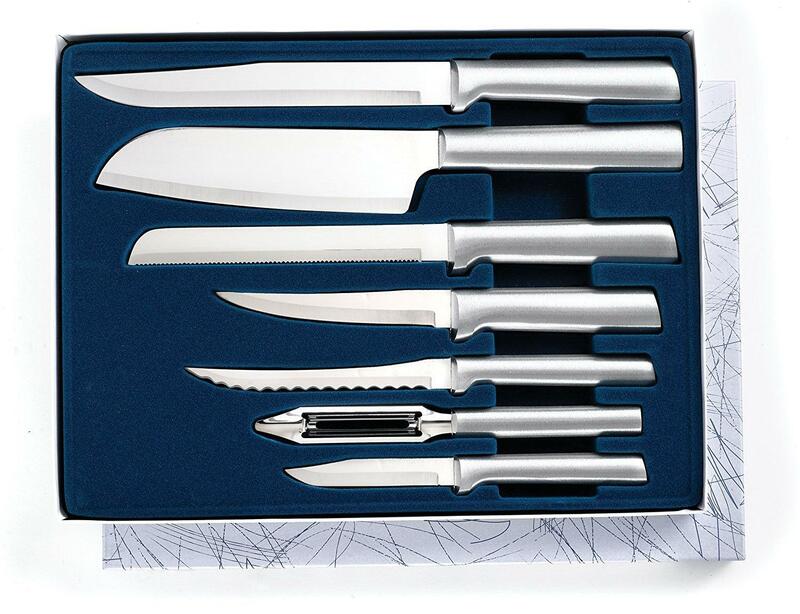 Usually, these upscale kitchen knives have a Rockwell scale hardness ranging from 52 to 58 degrees. However, Japanese along with custom knives rank up between 61 to 63 degrees in terms of Rockwell scale hardness. No matter which type of electric sharpener you consider buying, the sharpening fundamentals are the same. The first stage involves crushing any damage or flaws in the blade on an abrasive and hard surface and giving a consistent, tidy edge. Keep in mind that not all models will come with a repair stage, especially if the blades that you have are damaged or scratched rigorously. In the second stage, a less coarse stone uplifts a burr that finally turns into the cutting edge. For simple keep up, you can directly start this stage. In the final stage, you polish the burr to form a sharp edge. The good news is that most electric sharpeners come with multiple stages. Each stage enables sharpening adequately. So, if you just need a swift touch up for slicing a tomato, you can directly use the third stage, which hones the edge finely. Maximum electric models have two stages, namely fine and coarse. However, the best is the one that has at least three stages. Those with three to four stages are capable of sharpening very dull blades rapidly or finely honing the blades. In case you are choosing a model with just one stage, keep in mind that it is a fairly coarse one. This means it discards more metal than what is essential, which ends up shortening the knife’s life. Well, this does not mean that such a model is bad or unreliable, but it is vital to know the restrictions. 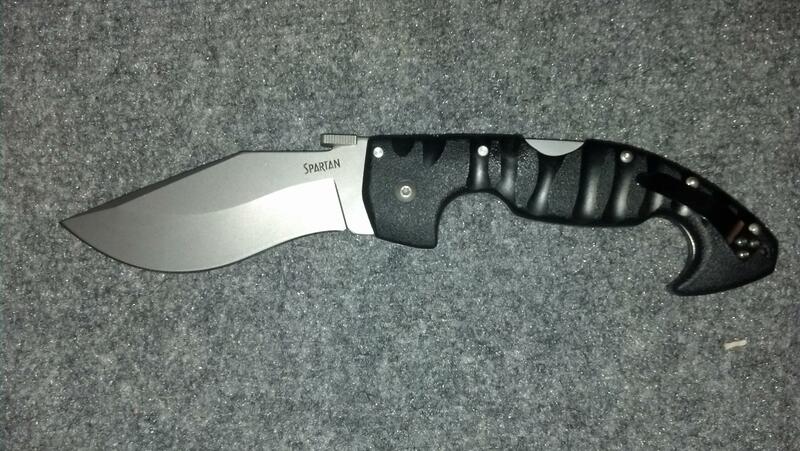 Despite this, a single stage model is ideal for sharpening in a pocket or utility knife. In short, an electric knife sharpener with only one slot or single sharpening stage is fully functional for a specific category of knives and the one with multiple stages is best for different types of knives. The latter one offers different angles at which you need to sharpen your knives. Just keep in mind that a few knives need a specific angle for sharpening. The economy or basic electric sharpeners possess composite stones. Most of them contain diamond-based stones. It is also common to buy a sharpener having a very fine stage of tungsten carbide that straightens and realigns the blade. However, an assortment of sharpening materials is available in the market, such as composite materials and natural stones, which are specially chosen for blade sharpening. Since thousands of years, natural stones are in use for sharpening not only knives, but also other tools such as weapons. A few most reliable stones come from the mines of Japan, India, and Arkansas. On the other hand, composite or artificial stones are composed of different materials and are more lasting than the natural ones. However, choosing one of the two categories is just a matter of preference. Several popular and reliable electric knife sharpeners come with artificial diamond abrasives attached to wheels to ensure the most effectual outcome. Other abrasive materials available are steel and ceramics. Most professionals prefer natural or artificial stones. Although the type of stone plays a significant role in sharpening, it also has a secondary role in employing a proper sharpening angle. It is also vital to note that while moving from one stage to another in the sharpener, the abrasive’s coarseness tends to vary. Although not so critical, this factor is useful to consider for those who want a sharpener with their furniture décor. Usually, the color of most electric sharpeners is neutral, such as silver, white, and black. The reason behind it seems to be more focus on functionality rather than on looks. Despite this, it is easy to find a visually pleasing model for your kitchen. Handle is also an important factor to consider while buying an electric sharpener although it is not as vital as for buying a knife. If you explore the cons of these sharpeners, you will find a few users complaining about vibrating handles. Such handles can actually end up giving a numbing sensation or even hurting your hand. So, it is best to look for an ergonomic handle that tends to fit your hand’s contour nicely. This is possible to get only in quality electric sharpeners. ‘Ergonomic’ is perhaps a trend for handles of most tools and devices for home as well as shop use. A few electric sharpeners are capable of sharpening serrated knives. However, these are generally the high end ones, and not the economy ones. Still, this does not mean you will not an affordable model for such knives. All you have to do is to check out with the manufacturer or manual. In most cases, you experience superb success by giving a touch up to your serrated edge via the finest stage of your electric model. However, for sharpening each serration, a round tapered sharpening rod is usually required. Alternatively, a manual sharpening kit also does a great job. Offers an effortless way to sharpen non-serrated and sport knives. You can expect a razor sharp edge in just a few seconds. It features a distinctive two stage system that ensures precision grinding and fine honing for professional outcome. Is ideal for sharpening and polishing dull or damaged blades whose edges are straight or serrated. The brand is quite popular for its knives and sharpeners. This sharpener comes in gray and silver plastic covering that also holds three slots or stages of sharpening. The first slot has an abrasive wheel of pure diamond, while the second one has a finer grit diamond wheel for honing as well as refining the edge. Offers automatic blade positioning guides, two slots, and safety features for precision and reliable sharpening. The positioning guides ensure grabbing the knife at the most suitable angle. This sharpener also has non-slippery suction cup feet to retain the unit in place while at use. Further, there is a stop feature to keep blade damage away by stalling the unit in case of much downward pressure. However, this one is for straight edged blades only and is not dishwasher free although cleaning with hands is a breeze. 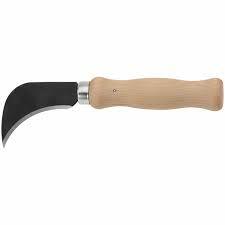 Is quite versatile to sharpen different varieties, American-, Asian-, European-, and serrated. It seems to be an expert in transforming 20-degree factory edge into ultra-performing 15-degree edge. This sharpener has three stages and they embrace diamond abrasives as well as adjustable stropping disks. There are also adjustable spring guides that set up themselves for applying a proper angle. Is perhaps the most versatile one on this list, as it sharpens any kind of edge to make it like a razor. It even sharpens high quality knives, Santuko, single- or double-bevel edges, fine edges, serrated knives, and pocket knives. The unit features three-stage sharpening mechanism and guides for precise positioning and perfect operation. Other features include pure diamond abrasives, stropping and polishing discs, durable makeup, and stabilizing feet. It is usually believed that an electric sharpener does not offer the same original edge to your knife as delivered by a trained professional. While this is true in some cases, it is really unfeasible to get all those knives sharpened professionally at an interval of every six months or so. This unfeasibility is actually in terms of money, as it is really expensive. This is why several knife owners prefer having an electric knife sharpener. Such a model has its own specific sets of benefits explained above, due to which you are ensured of less effort in least time and reduce risk of blade damage. These assurances are something that manual systems lack to give or do not provide completely. No matter which kind of sharpener you choose, the process of sharpening involves discarding small quantity of blade material. So, what it is good to choose the best electric knife sharpener that is exclusively made for the types of knives you have. Doing so ensures removing less material amount, which finally increases the life of the tools for several years to come.